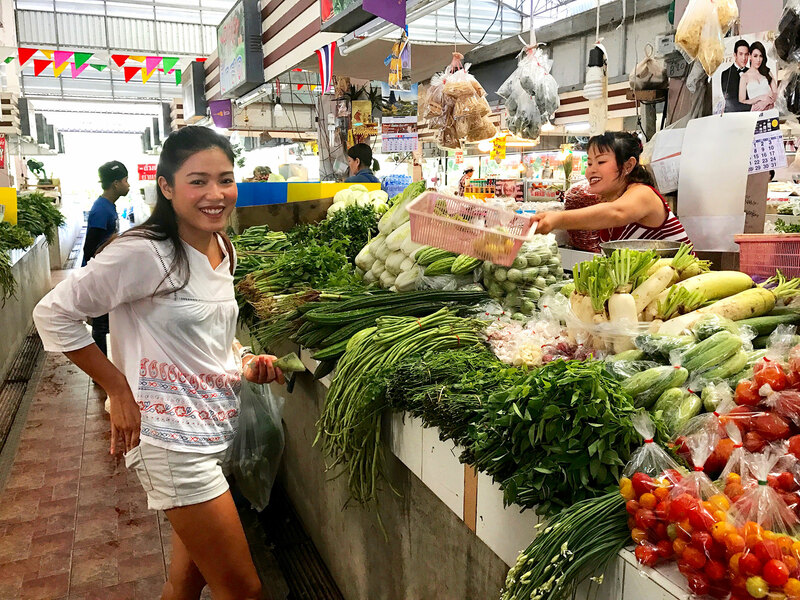 April began to explore the world of cooking at a very young age - she learned to cook authentic Thai food from her grandmother and even sold food and snacks together in the Phetchabun market. Her grandmother had a deep passion for cooking and liked to experiment with adding new flavors to traditional dishes. April thus learned not only to cook traditional Thai food but also to innovate and play with flavors and textures. 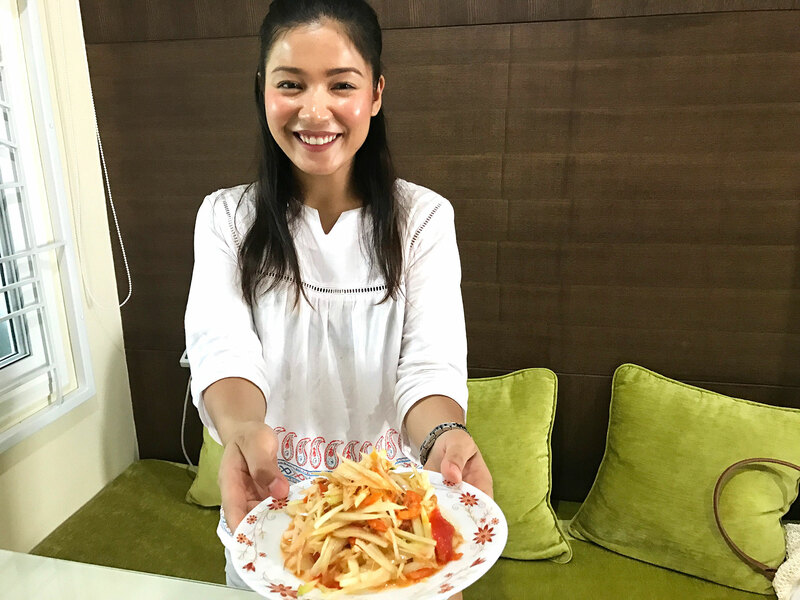 April’s cooking skills made her very popular when she was a student in Hua Hin - her homemade spicy papaya was in great demand among the students. It even allowed her to earn a little extra pocket money. She gleams every time she thinks about how much everyone appreciated her simple salad. Through Traveling Spoon she wishes to share her grandma’s Thai recipes with a healthy twist. 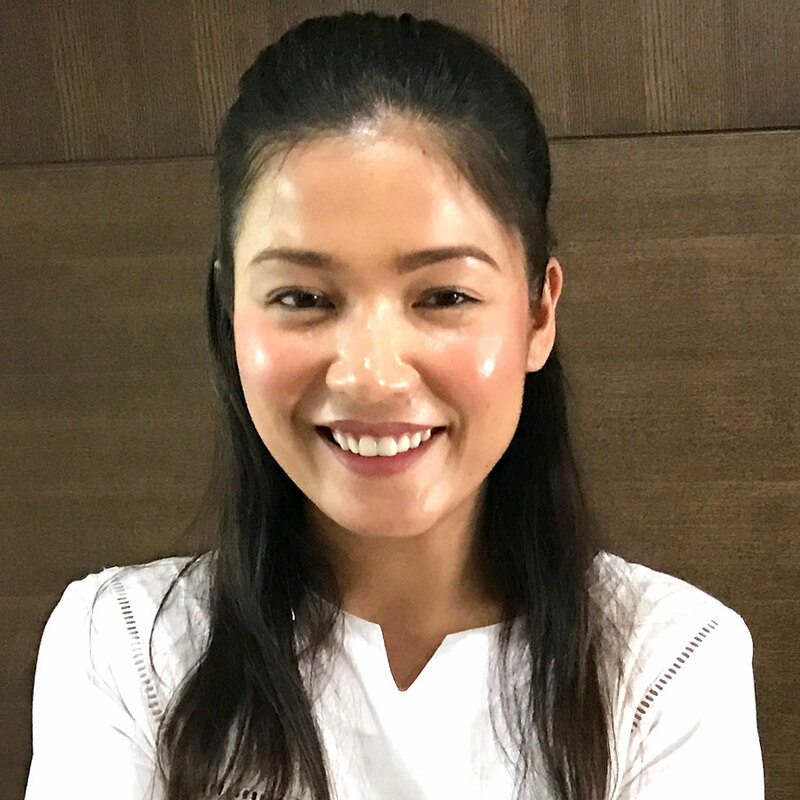 Having lived in many different areas of Thailand (Phetchabun, Bangkok, Hua Hin, and Chiang Mai), she has picked up different cooking skills from each city, making her an expert in all things Thai food related. Today, she continues to grow her culinary skills. 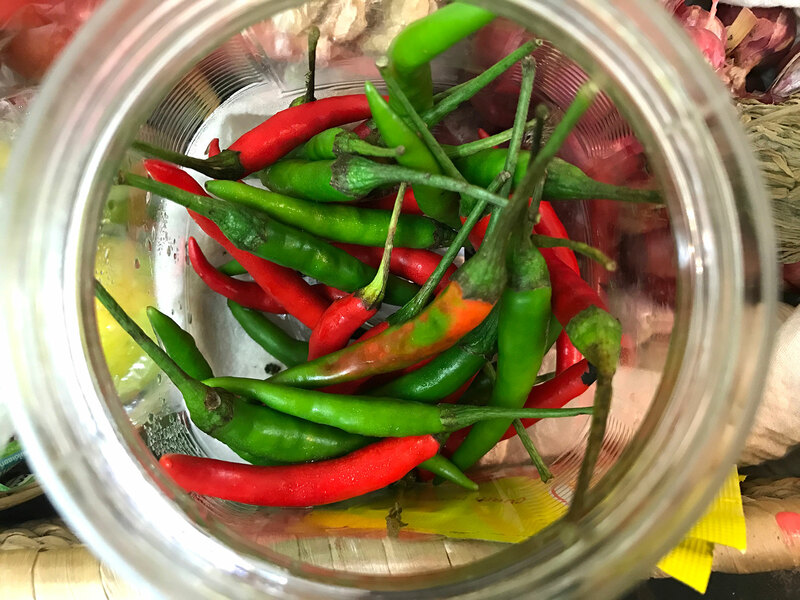 Her secret is to talk to restaurant owners, cooks, and street cart vendors - she is always looking for new tips and advice for her to try in the kitchen! April believes that food has a unique way of bringing people together! 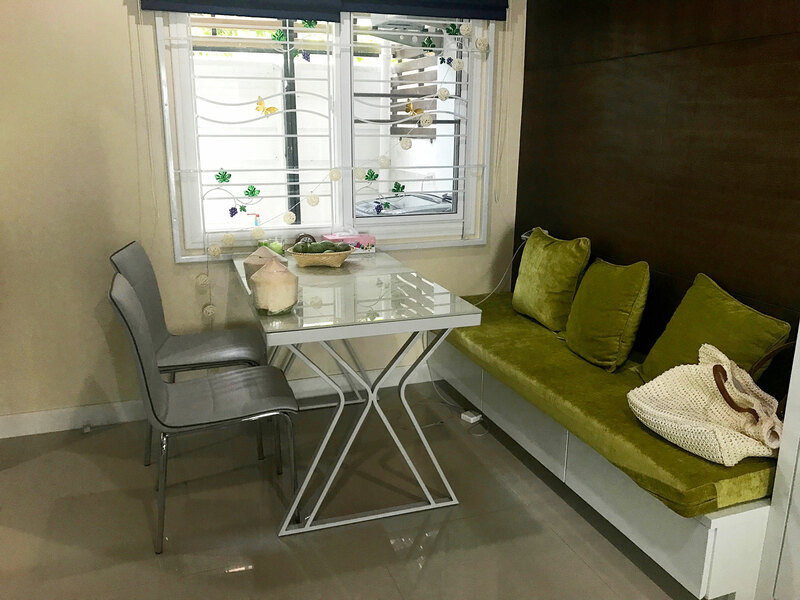 In-home meal: (1-5 guests) April lives in a clean and modern home in a gated community with her boyfriend. She grew up in a small town in Phetchabun which is 454 kilometers away from Chiang Mai, and is passionate about sharing share the unique flavors of Phetchabun that she grew up eating. Phetchabun is famous for its curries, sweet and sour soups, salads and nam prik (hot chili sauce). April loves cooking healthy food with the freshest ingredients of high quality and without the use of MSG (monosodium glutamate). After an introduction to Thai food and culture over coffee, you will join April at the dining table to share an authentic Thai meal that she grew up eating. 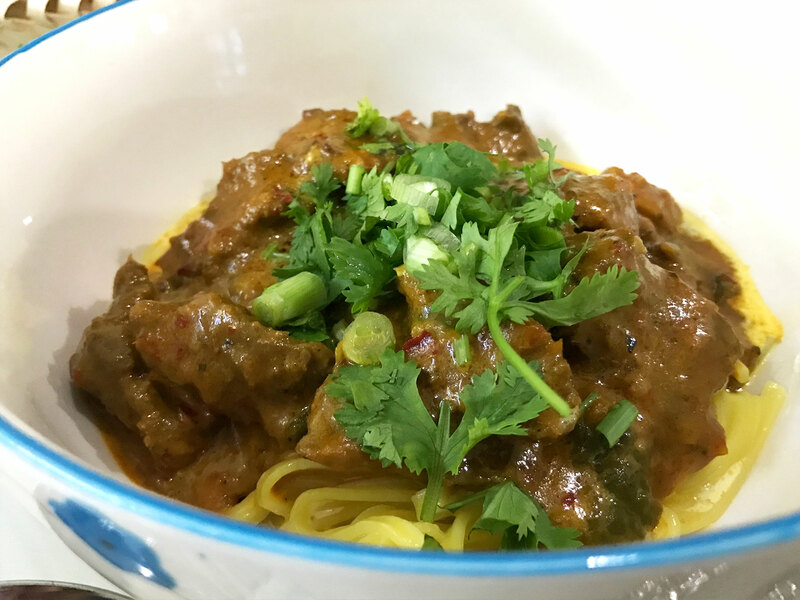 Dishes that you may try are chicken pineapple curry, green curry, massaman curry, beef khao soi (Chiang Mai beef curry noodles) and papaya salad. 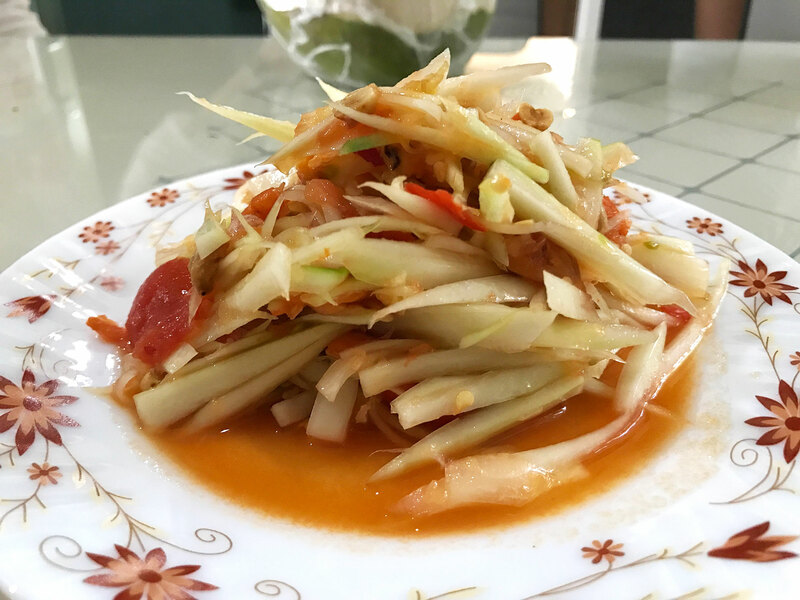 Cooking experience: (1-5 guests) Learn to make from scratch two of April's favorite dishes - pineapple curry and som tum (green papaya salad) - in your cooking class. The sweet and spicy flavor of these dishes reminds April of home. Her great grandfather and she shared a love for pineapple curry and that created a special bond between the two. She wishes to share this joy with you, while also recreating her grandmother’s som tum recipe in her kitchen. The cooking class will last 1-2 hours and will be very interactive. Market visit: (1-6 guests) April offers two market experiences. If you would like to book just a market tour, click "Market Tour" during the booking process. April will take you to the Warorot Market, where you will explore the many fruits and vegetables that Chiang Mai has to offer. April will walk you through to market and introduce you to some of the produce you see, describing how it is used in local Thai cooking. Enjoy samples of some favorite fruits, vegetables and snacks as you wander together through the market. Note that water is included in this experience. 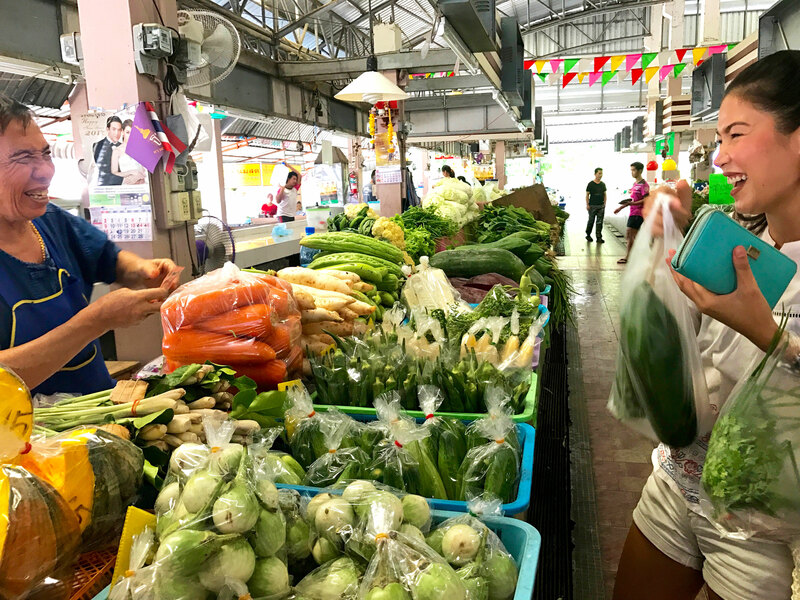 For experiences that include a home-cooked meal or cooking lesson, April will take you to the market which is walking distance from April’s home, where she will introduce you to a wide variety of local fruits, vegetables, spices and meats, as well as some of her favorite foods from childhood. 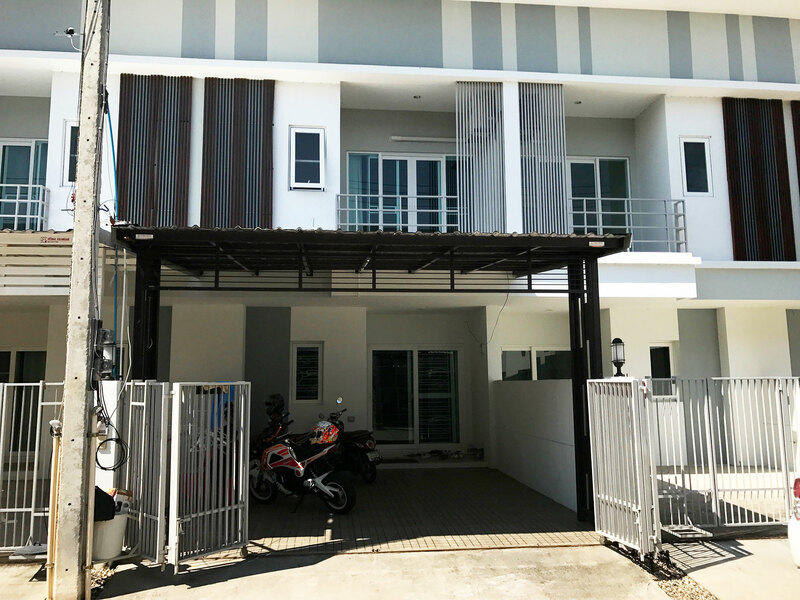 After you've toured the market return together to April's home to enjoy a home-cooked meal or cooking lesson. Notes: Please note that evening market tour experiences are only available on the weekends. April is more than happy to customize the menu for you, so please do let her know your preference when creating your booking. This evening was all we had hoped for. We met a lovely Thai native with whom we could talk endlessly and share a delicious 5 dish meal. With her English near perfect, we could discuss everything from the both common and unusual foods we were preparing, to Thai culture, to other tourist plans we wanted to make. For our papaya salad we went outside to knock it off her tree. So fresh. I hope I can find some of these ingredients at home so I can make the dishes again. Traveling Spoon gave us a unique and wonderful opportunity. April was wonderful. We slept through our alarm because of our jetlag which made us 2 hours late to dinner, but we called and she had us over anyways. She was nice and the food was amazing! We had a great time with April! The experience provided us with the two things we were looking for: (a) get to chat in a relaxed setting with a local about day-to-day life and culture and (b) taste delicious food (the Khao Soy and Pineapple Curry April prepared were amazing!!!). After two years in Thailand, my experience cooking lunch with April has easily become one of my favorites! When you taste the food she helps you prepare, it will become obvious that she has been cooking her entire life. She lives in a modern, clean, air conditioned townhome off of the superhighway, about 15 minutes outside of the main city. Upon arrival, April offered us some delicious local coffee and treated us like old friends, making us feel at home from the beginning. Talking with April was so easy and comfortable. She’s quite young, well-traveled, and speaks English perfectly, so there was never a shortage of conversation. 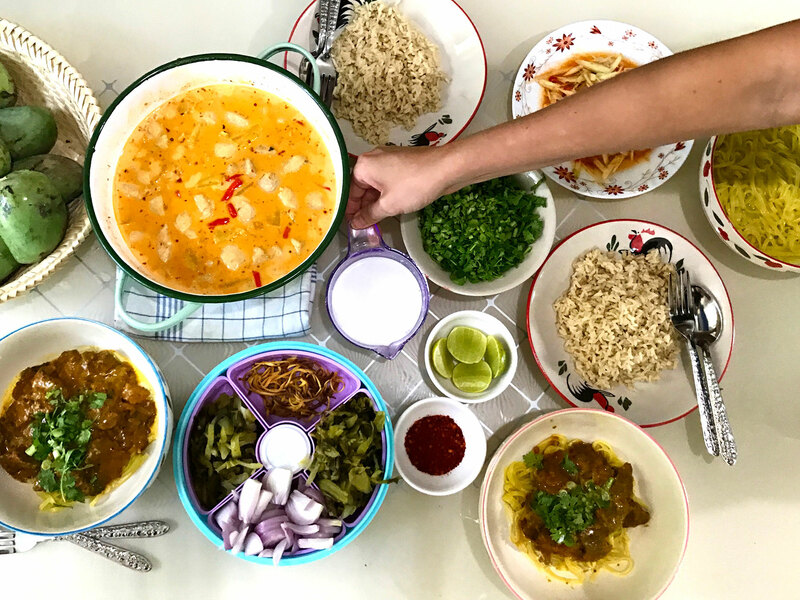 We prepared some of her favorite dishes, my favorites being pineapple curry and a traditional Chiang Mai favorite: khaosoi. The meal we made is hands-down the best Thai food I’ve eaten. By the end of the experience, I left her home with a full stomach, a smile on my face, and a new friend.